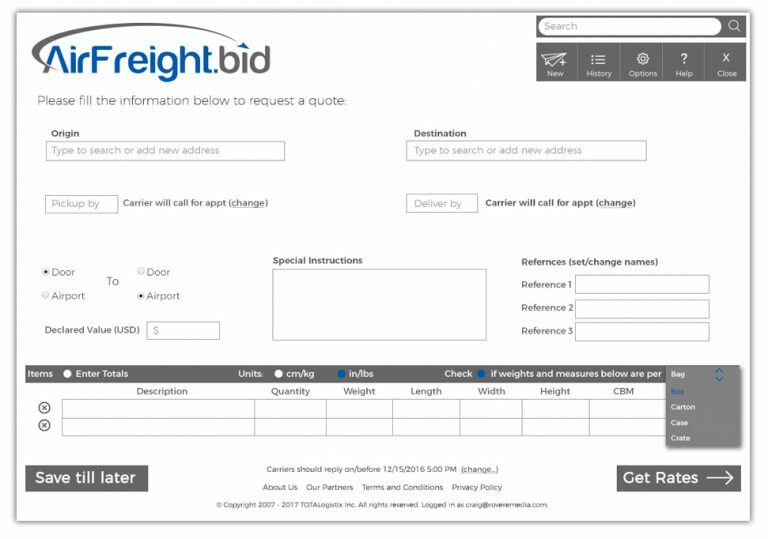 AirFreight.bid is all about making the procurement of airfreight fast and easy. From one platform you can subscribe to the level of features and functions applicable to your needs. Using our simple yet powerful dashboard you can be comparing quotes in no time. 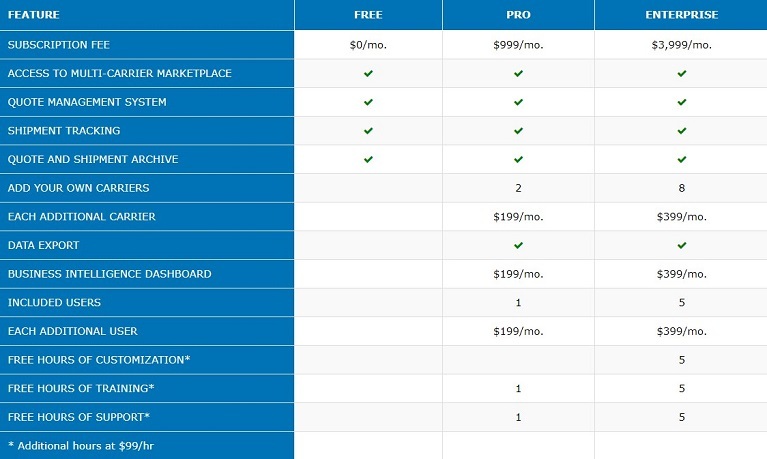 All charges for use of the Platform are payable in US Dollars. Monthly recurring payments will be charged and are due on the first of the month, prorated where applicable. Annual recurring payments will be charged and are due on the Subscriber’s anniversary date. Company reserves the right, in its sole discretion, to change its prices and its terms and conditions, and Company will give reasonable advance notice. All such changes will be effective as of next billing cycle and upon receipt of such notice a Subscriber will have the right to cancel its subscription as of the next billing cycle. Add-on fees will be billed monthly. Subscription fees may be billed monthly or annually depending on the plan you select. If you choose the annual plan and pay for the year, your 3 month credit will be reflected in that charge. Try AirFreight.bid for free today.